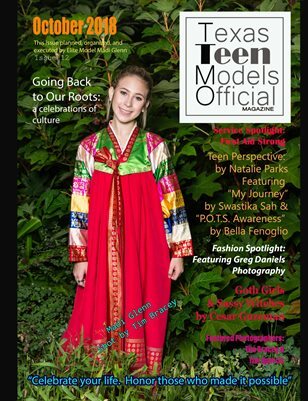 Texas Teen Models Official October 2018 Issue was planned, organized and execute by TTMO Elite Model, Madi Glenn. This month's issue is a tribute to culture and the important roles our heritage plays in each of our lives. October's issue includes great articles about cultural influence, beautiful photography from several of our favorite photographers, and of course, the TTMO Elite Team models. We hope you enjoy it! !